Major Accident. L-16A #3=47-923, 18 December 1952. Final report not received. The same old story–pilot propped aircraft with no one at the controls and was promptly run over the aircraft. Major injuries to the pilot. Aircraft collided with the hanger and another aircraft. Pilot error in direct violation of CAP Reg 62-10, 1 December 1952. Earlier that year, in September Civil Air Patrol members reported a similar event. Minor Accident. L-16A #47-1105, 29 September 1952. Pilot was starting aircraft with a “piece of wood” in front of the right wheel and no one in the cockpit. Aircraft jumped the piece of wood and collided with two other aircraft. Pilot error. 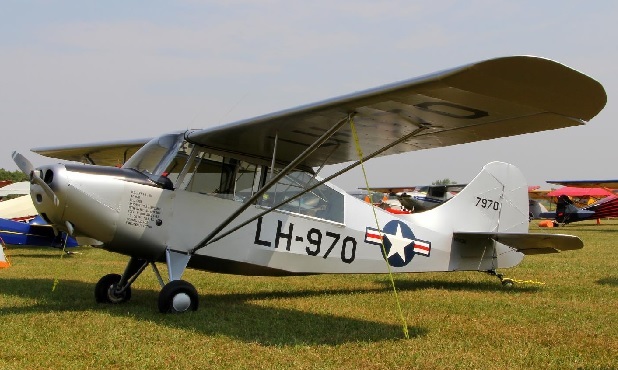 The L-16 was a US Army liaison aircraft derived from the Aeronca Model 7 series, aka Aeronca Champion. The L-16 saw extensive service during the Korean War and from 1955 forward, large numbers of them were transferred to the Civil Air Patrol. Be the first to comment on "Civil Air Patrol Pilot Run Down by Own Aircraft"